Australia’s High Commissioner to the UK says Brexit could provide an opportunity to renegotiate visa arrangements and make it easier for Australians to live and work in Britain. 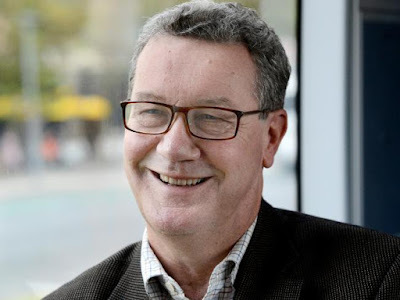 Alexander Downer has been a vocal critic of restrictions introduced on working visas for Australians who travel to and live in the UK, describing its policies as “discriminatory”. Speaking on ABC radio, Mr Downer said that as a representative of the Australian government in the UK, his job was to seek opportunities amid the Brexit fallout. And while the implications of the Eurozone breakup for Australia remain to be seen, he pledged to seize on the transition as an opportunity to address restrictions on working visas, potentiating the discussions for freedom of movement. “We’ve been critical of the arrangements that have been put in place”, he said. The number of Australians working in the UK has declined by 40 per cent since 2008, and while Mr Downer concedes the shift can partly be attributed to economic forces, there are also restrictions in place preventing Australians from becoming employed that the British government has refused to budge on. In 2011, the UK cut off entry routes for Australian skilled workers and capped employer-sponsored visas at just 20,000 places a year. The British government cited requirements by the European Union to prioritise workers within the zone. In April this year, further restrictions were introduced including a minimum income requirement. The number of Australians obtaining work visas from the UK Home Office has halved in the past decade, and now sits at less than 15,000. The Australian government’s protest to the visa crackdown, led by Mr Downer, resulted in an extraordinary (while ultimately futile) debate at Westminster earlier this year. Mr Downer has continued his call for changes to the Tier 2 visa system to ensure Australians don’t have to travel home in order to change jobs and make it easier for them to gain employment in the UK in the first place. 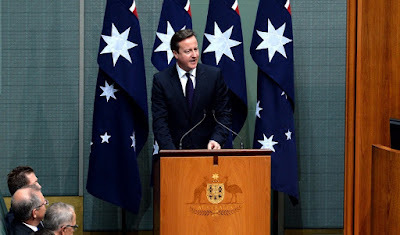 University of Adelaide UK politics expert, Clement Macintyre, told news.com.au that the referendum result left room for negotiations that couldn’t have happened before. “The opposition to high levels of immigration in the UK that lay at the centre of some of the Brexit campaigning was making it harder for Australians in some respects to land visas and secure work arrangement because there was increasing pressure for the government to crack down across the board”, he said. The UK economy used to rely on European workers to fill many skilled and unskilled jobs, but Professor Macintyre said it was now likely those jobs would be open to people from other parts of the world, particularly Commonwealth countries. “Under the old prospect, what we were confident about was that as long as the UK was part of the EU, there was unlikely to be any change for the visa requirements for Australians in the UK”, he said. He said while it was too early to speculate on Britain’s negotiations out of the EU or its leadership, the possibility of a government with Boris Johnson as a Cabinet member was good news for Australians. The former London mayor has previously advocated for a “free mobility labour zone” between Commonwealth countries, and in 2015, proposed an Australia-UK agreement to allow greater movement of skilled people. 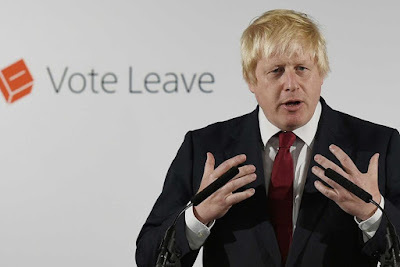 “He believes that Commonwealth citizens should be given more freedom to contribute to London’s economy, culture and communities, particularly given the strong cultural connections between our countries”, a spokeswoman for the then-mayor told news.com.au. With the shock outcome only 3 weeks old, uncertainty remains the key word in discussion of all things Brexit. Prime Minister Malcolm Turnbull recently revealed that Australia and New Zealand could work together on joint free trade and visa agreements to steer the region through the shock waves of Britain’s exit. “If my government is re-elected, John Key (Prime Minister of New Zealand) and I will meet shortly thereafter with our officials and set up a co-operative framework in which Australia and New Zealand will work together to ensure that we maximise any opportunities that arise out of these changes, but also ensure above all that the interests of Australians and New Zealanders and Australian and New Zealand businesses are protected”, he said.